How To Cancel Your Spanish Timeshare Contract And Claim Your Money Back! 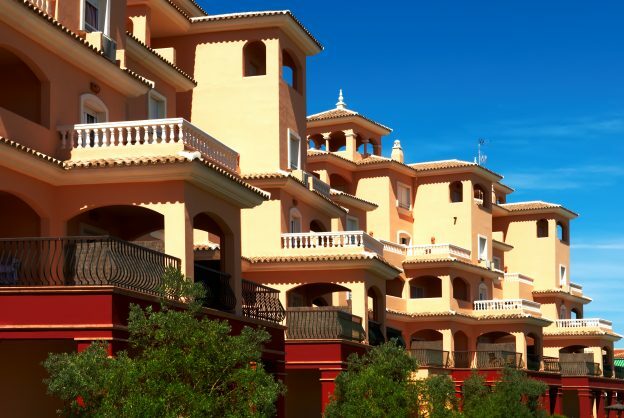 Do you have an unwanted timeshare in Spain? Would you like to cancel you timeshare contract and claim up to double your money back plus interest? If so, Worldwide Lawyers can help. Contact Worldwide Lawyers to see if you can cancel your Spanish timeshare and get your money back. We will put you in touch with a timeshare claims specialist lawyer with a 100% success rate in making timeshare claims. Contact us on 01244 470 339 or at info@worldwidelawyers.co.uk. Timeshares in Spain do not generally have a great reputation and are commonly associated with unscrupulous timeshare sales people applying high pressure sales tactics to sell timeshare agreements which provide little or no value to the buyer. Timeshare obligations can often become an expensive burden that the owner no longer wants or can afford. Timeshares in Spain are often difficult or impossible to sell on for a price anywhere near the amount paid, if at all. In some cases owners can find that is very difficult to actually book or use the timeshare they are paying for meaning they are stuck with a costly timeshare that they receive no benefit from. If this sounds familiar, you may be interested to know that as a result of a number of Spanish Supreme Court decisions in 2015, you may be able to cancel your Spanish timeshare and get your money back. How can I cancel my timeshare contract and how much can I claim? The cost of the timeshare (any amount paid in the first 3 months of signing the contract can also be doubled!). Maintenance costs paid since the contract was signed (even if you have used or exchanged some of your timeshare weeks). Mr and Mrs Smith paid €10,000 for their timeshare in 2005. They paid the full purchase price within three months of signing the contract. In addition they paid maintenance payments of €350 per year for 13 years from 2005 to 2017. €20,000 (£10,000 x 2 as they paid the full amount within the first 3 months). Total: €24550 plus Interest (interest calculated at the date the claim registered with the court). Mrs Singh paid €15,000 for her timeshare in 2003. She paid half the purchase price (€7,500 within three months of signing the contract and the other €7,500 afterwards). In addition she paid maintenance payments of €400 per year for 15 years from 2003 to 2017. €15,000 (€7,500 x 2 as first half of the purchase price was paid within the first 3 months). €7500 (as the second half of the purchase price was paid after the first 3 months). Can I get a refund for my timeshare in Spain? Your contract does not include information about your right to cancel or terminate it following purchase. Worldwide Lawyers will be able to put you in touch with a lawyer specialising in timeshare claims who will be able to provide a free, no-obligation assessment of your timeshare claim. The procedures to be followed to claim your money back. If you do decide to make a claim, our recommended timeshare claims specialists will provide you with a no-obligation fixed fee quote for all costs to bring your claim. If you have a timeshare and want to see if you can make a claim for your money back, contact Worldwide Lawyers on 01244 470 339 or at info@worldwidelawyers,co.uk.